For Faisal Susiwala, a broker with RE/MAX Twin City Realty Inc. Brokerage in Cambridge, Ontario, graduating from high school and going to university had always been the plan. But that all changed when his interest in investing and looking at real estate for long-term growth catapulted him in an entirely different direction. “I sort of fell into real estate not knowing I was going to make it my career,” says Susiwala, who was licensed under the Ontario Real Estate Association at the ripe young age of 18. And while it hasn’t always been easy, Susiwala’s entrepreneurial spirit and work ethic have paved the way for a storied real estate career that continues to grow and prosper. Born in Preston, England, Susiwala and his family immigrated to Canada when his father received an employment opportunity in the textile industry as a weaver in Cambridge—where Susiwala and his brother and sister were raised. “I can remember sitting in front of the TV watching shows that featured coaches and other professionals talking about investing in real estate, and how it was advantageous to immigrants who were coming to the country with nothing at all,” says Susiwala. With a brother attending his first year of university—and a sister not far behind—Susiwala looked to real estate as an opportunity to get his family out of the rut of financial instability once and for all. At just 19 years old, Susiwala put his nose to the grindstone and dedicated his time and energy to establishing strategies and techniques to build up his business, as well as his clientele. The youngest practicing real estate professional in the business at the time, Susiwala took a step back and looked at what the successful people who had come before him had done to make a path for themselves in the industry, which included everything from billboard ads, bus ads, bench ads, flyers, cold calls and everything in between. 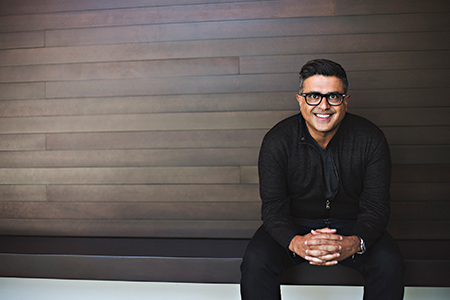 “From what I evidenced at the time, I made the decision to invest the money I had made within my first year in the business into marketing and cultivating my sphere of influence,” says Susiwala, who hit the ground running by going back to his roots and marketing his services to every person he had touched—or been touched by—along the way. “The community support I received was incredible,” says Susiwala, who attributes much of his success over the years to his dedicated marketing strategy. “I realized very early on that most real estate professionals were marketing on a feast or famine basis, or sporadically throughout the year,” says Susiwala. A big push among real estate professionals between February and April resulted in numerous sales the following months; however, as summer approached, marketing seemed to fall by the wayside before picking up again as the school year started. Marketing efforts dropped significantly as the end of the year approached, as well—a vicious cycle that Susiwala had no intentions of getting caught up in. Upping the ante even further, Susiwala goes on to explain that having the right people in place is another key ingredient to his continued success. And he must be doing something right, as the accolades continue to pour in year after year. In fact, Susiwala began hitting the Top 10 category at both the national and international level approximately 10-12 years ago, a standing he’s been able to maintain ever since. In 2017, Susiwala was ranked No. 4 in all of Canada and No. 6 in the entire world, the same year in which he earned the title of RE/MAX Luminary of Distinction for having earned over $20 million during a RE/MAX career of at least 20 years. Even more impressive is the fact that he’s the youngest individual to have ever achieved this lofty honor. Here, Faisal Susiwala answers a few personal questions, shedding some light on his life outside the confines of the real estate industry. With a passion for Ferraris, Susiwala would be a race car driver if he weren’t a real estate phenom. 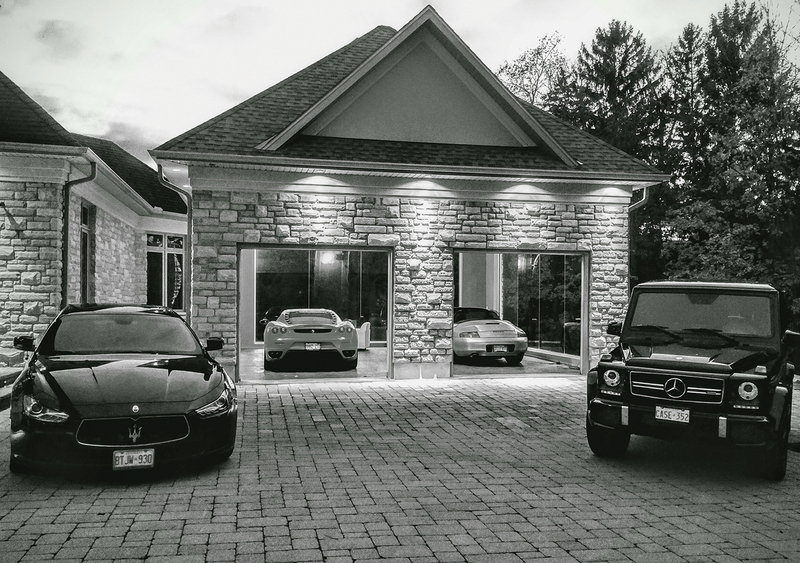 If I weren’t in real estate…I’d be a race car driver. What’s one thing people don’t know about you? That I like my quiet time. While I come across as being very energetic, social and fun to be with, I do appreciate my alone time. How do you like to relax and unwind? With my wife and kids. Whether it’s driving to our cottage or being out on the slopes, I’m most relaxed when I’m in an environment where there are no distractions. Nothing brings me greater joy than being with my family. What’s the last book that you read? “The Monk Who Sold His Ferrari” by Robin Sharma, a book I picked up because of my love for Ferraris. I also attend seminars and read a lot of material from life coach Tony Robbins. What’s the last movie that you watched? “The Greatest Showman.” I wasn’t sure about the movie when I sat down to watch it, but it was a very enjoyable story about a young kid that made it. Are there any hobbies that you enjoy spending time on? My favorite hobbies include skiing and mountain biking with my kids. My wife and I also love to travel, so we try to do a lot of that. And we take our kids with us wherever we go. Out of all the places you’ve traveled, which is your favorite? South Africa, for the beauty of the country, its nature and the water. If you could only eat one thing for the rest of your life, what would it be? My mother’s Samosa, which is a pastry filled with chicken, meat or veggies. It’s basically the Indian version of Pierogi. For more information, please visit www.homeshack.com.